Increase the security of your home or business by having a top locksmith company, Dallas FW Locksmith, conduct security audits for you. Every possible point of entry is looked at to ensure that your property is secure. We provide service to Dallas and Fort Worth, TX and surrounding communities. Many communities these days have problems with break-ins. This means that your family or possessions are at an increased risk of a loss of some kind. Thieves know where to look and they often do not have trouble getting into homes that are not very secure. In fact, many neighborhoods are plagued by some thieves whose only job is to steal from you. This means that they are quite good at what they do. The average locks and security measures commonly used are often just not good enough. You can change all that and get a jump on them by eliminating the weak points of your home’s security. It might surprise you to know that most break-ins could be prevented with better security. With our security audits, we can help you to be confident that your home and family are secure. Our fast and friendly, expert technicians know where to look to identify problem areas. Our audits almost always take less than 60 minutes of your time, enabling us to find and advise you on places where greater security is needed. They will look at all of your doors, windows, garage(s), and any other possible place of entry. Businesses all over the country are suffering from crime and internal theft. 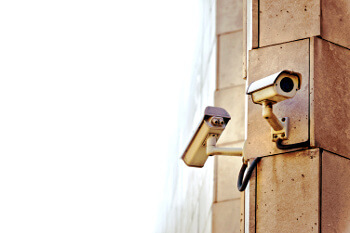 You can begin to improve the security around your workplace with a commercial security audit. Our commercial locksmiths at Dallas FW Locksmith can complete a security audit in less than 60 minutes for many commercial properties, and assess your need for greater security measures. Not only will increased security devices help reduce your losses, but they will also cut your insurance costs, too. We offer upfront pricing on everything we do, including our 24/7 locksmith service. Our complete locksmith service can give your company the latest devices to reduce theft and secure your premises. This includes security doors, CCTV setup, motion detectors, Grade 1 locks installed, and much more. Our security audits of your home or business are totally free. Once the security audits are completed, our experts can advise you on how to take your home or business to the next level of security. There is no commitment. Increasing your security can be done in many ways. There are many security devices available that can be used to give you the level of comfort you want and need. Some of these are low cost, and a few of them may even be free. Our complete locksmith service can provide you with the devices you need to protect your home or business. New devices are constantly being developed, always improving what is available. We can install devices such as high security locks, motion detectors, alarm systems, and more. Before we do anything, though, we offer upfront pricing on everything we do, giving you the assurance of knowing exactly what it will cost. When you are ready to have your new security systems installed, our residential and commercial locksmiths, with 5+ years of experience, know how to expertly install your new security devices and locks to ensure they will perform as expected. They also use the best high tech tools to make sure that everything is installed correctly and will work properly when needed. The mobile locksmiths at Dallas FW Locksmith are all licensed, bonded, and insured to ensure that we give you the quality service you want and expect. We offer a 30 min response time and 24/7 locksmith service anywhere in Dallas and Fort Worth, TX and surrounding communities. We want to help you improve the security of your home and business with our free security audits. Take one step today to improve your home’s or business’ security, and call us now to set up an appointment for your free audit. Dallas FW Locksmith – The Security Experts in Dallas! Home + Office Security Audits in Dallas, TX http://dallasfwlocksmith.com/free-security-audits/ 3.9/5 based upon 27 reviews.